At Apizee we work every day to enable our different API customers and user to have the features they need and support them in the success of their projects. That’s why we are excited to announce updates to our support plans and introduce our new ApiRTC dashboard, ApiRTC website and ApiRTC Developer Center. Today, we are pleased to announce updates in usage pricing that allows more flexibility in the use of our APIs. We also propose new support plans more tailored to our customers' needs with new levels of support fatures and response time commitments. From the Gold pack for example, we offer a dedicated technical contact knowing your configuration and your history, so no time is wasted in fixing problems that come up. If your critical services need immediate assistance 24 hours a day, 7 days a week, we have also designed a support plan for you. 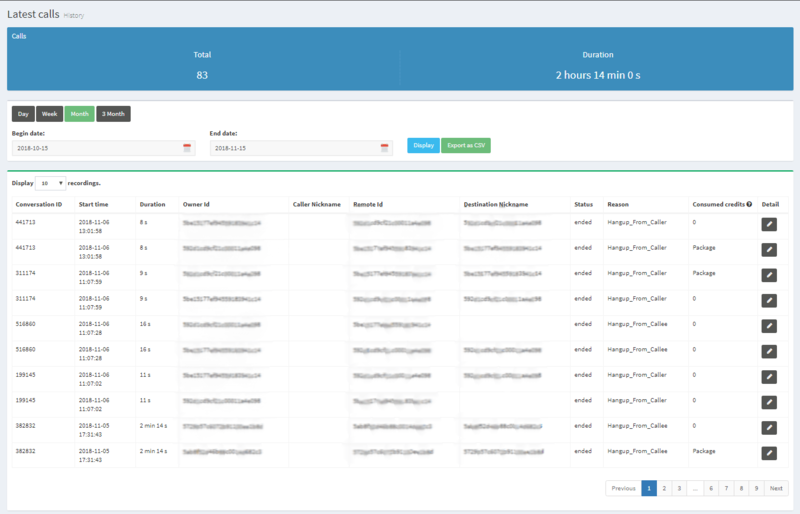 We have also introduced a new customer portal for ApiRTC API users. 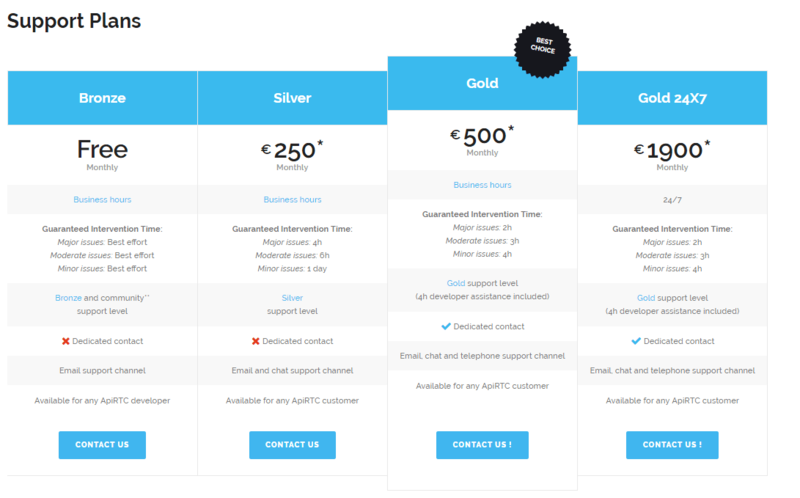 On cloud.apirtc.com you can now subscribe online, add credits to your subscription or upgrade to other plans. 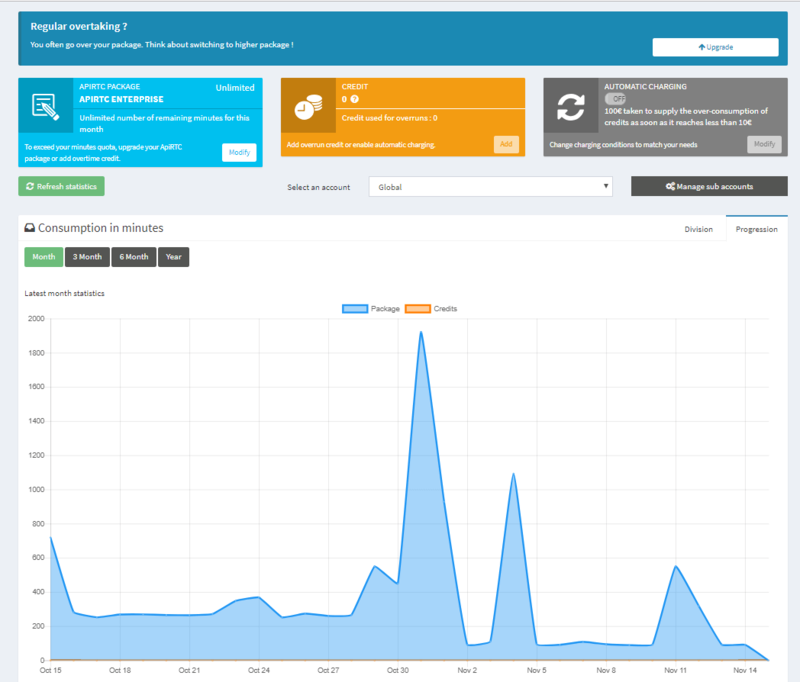 You will be able also to view your billing metrics, keep track of all your calls and manage your credit consumption. Finally, we are pleased to invite you to discover the fresh new look of our website introducing a new brand style. We have also a new Developer Center wich includes documentation and tutorials for ApiRTC v4. We’re continuously looking to make improvements to our platform and ensure that our customers are getting the most value out of ApiRTC. If you have any questions about these changes or want to learn more about our platform, please contact us. How do I estimate my minutes usage?